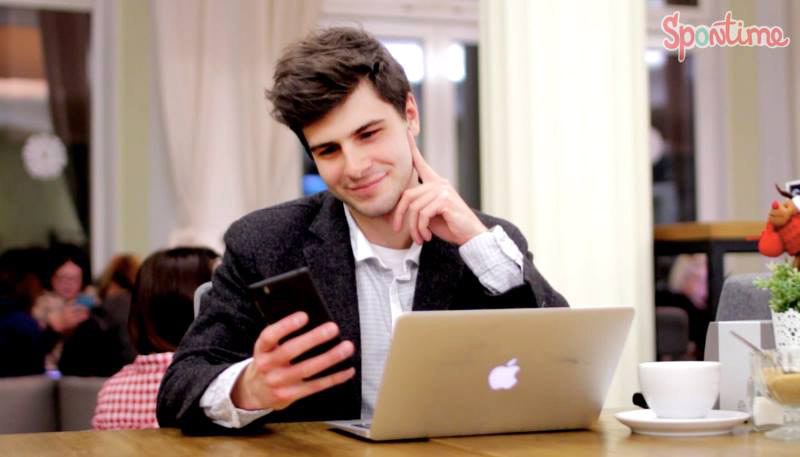 A young Polish student named Karolina Demiańczuk has just launched Spontime, a new social app that’s designed to help users spend time with your friends in real life rather than online. The app offers a quick and efficient system for coordinating meetings. Karolina Demiańczuk, a 21-year- old student from Poland, specialises in Business Management and Entrepreneurship. One day she found out that her university lecture had been unexpectedly cancelled, leaving her with hours to kill at the campus cafeteria. She looked around for company, but she did not find anyone she knew. Then she headed back to class only to find that a friend had spent three boring hours at a nearby cafe. It was then that Karolina came up with the idea of an app to schedule spontaneous meetings. The programme is deliberately straightforward: users briefly describe the activity, pick a place andtime and their friends are notified. Those invited can answer whether they’ll join in or not. The app lets users schedule meetings two days in advance at most. It also sends notifications about friends’ events. Interestingly enough, there are no commenting or messaging functions. Demiańczuk wanted Spontime to help people keep most of their interpersonal interactions offline. The app reflects the growing offline movement among young millennials. After coming up with Spontime, Demiańczuk brought together three young programmers, Łukasz Muszyński, Dawid Koncewicz, Michał Tajchert and a designer, Dima Miroshnichenko. They conceived and programmed the app, whereas she took care of the business plan. The young Polish student says she caught the entrepreneurial spirit in Massachusetts, where she attended high school. Spontime, which premiered on May 22, less than a year after Demiańczuk’s epiphany, is currently estimated at $3.3 million and is backed by investments from Poland, Sweden and the US. On its first day the app was downloaded over 2,000 times ‒ an excellent start. However Demiańczuk isn’t resting on her laurels: the 21-year- old wants her app to go global. To realize this ambitious plan she intends to first conquer the American market and later expand. She registered her company in San Francisco, CA, to be closer to her target audience. The young Pole is also considering a smartwatch version of Spontime. Time will tell if the moment is right for an app scheduling offline time.